Western Research Fellow’s attended their annual retreat from the 23-26th of June. The retreat provides an opportunity for Fellows to check in with Ucross staff and share their progress with each other. 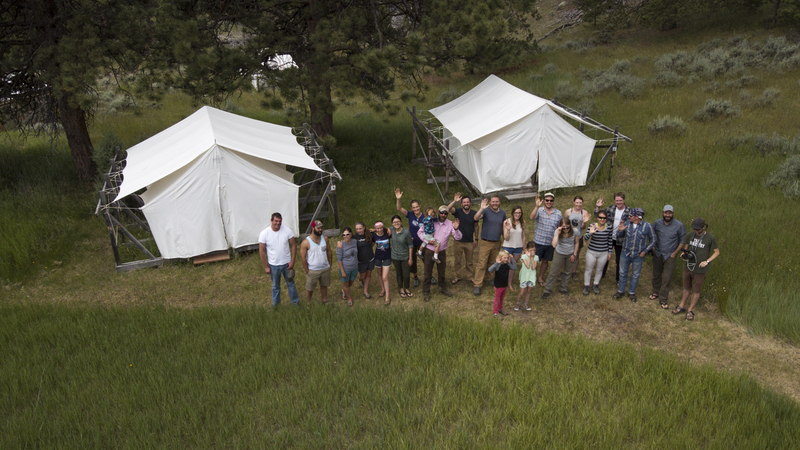 The Fellows gathered on Friday Afternoon at Sheridan College’s Spear-O Mountain Campus. 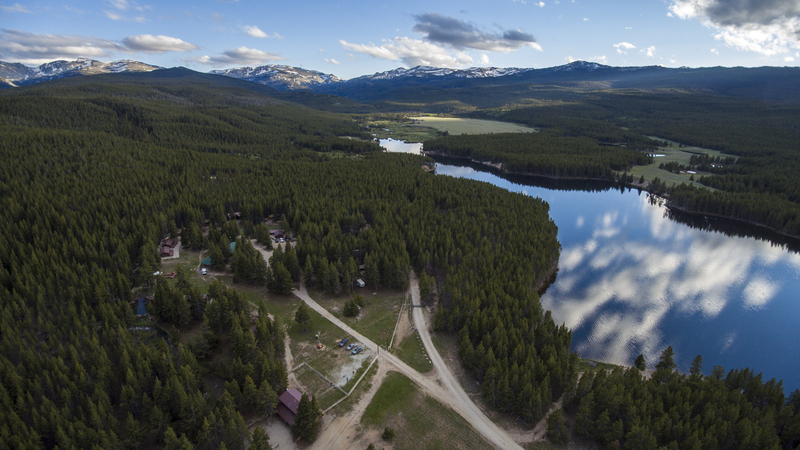 There they explored the streams, lakes, forests, and pastures of the Bighorn Mountains. On Sunday they presented their summer work as part of the Campus Mountain Lecture Series. 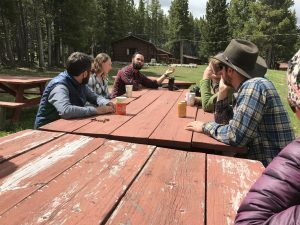 That afternoon they cohort moved camp to The Nature Conservancy’s, Tensleep Preserve, a 9,000 acre preserve covering a 12-mile stretch of Canyon Creek rich in both ecological and human history. After a long-day of exploring ancient pictographs and the canyons natural wonders the crew were joined by TNC staff from across the state. Shane Cross from the Ucross partnered Boot Ranch joined with a cooler full of the finest Wyoming grass-fed beef around. After a night of music and food we spent a last morning flying drones and enjoying the Wyoming sunshine. This entry was posted in Western Research Fellows, Western Resource Fellows, WRF 2017. Bookmark the permalink.